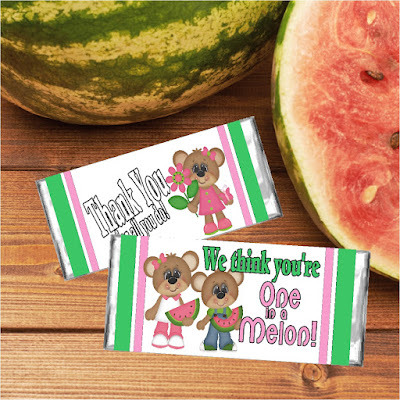 I know I could use a few extra Karma points today by saying thank you to someone in my life with this sweet Watermelon candy bar wrapper. Wrapper has such cute summer colors and reads "We think you're one in a melon!" What a perfect summer thank you gift. One of my favorite parts of summer is that it's Watermelon season. I am pretty sure I could eat an entire watermelon all myself. It's a bit of an addiction. 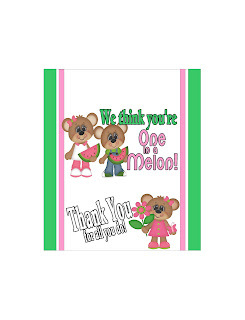 But I think collecting cute watermelon clip art, might be too...what can I do? 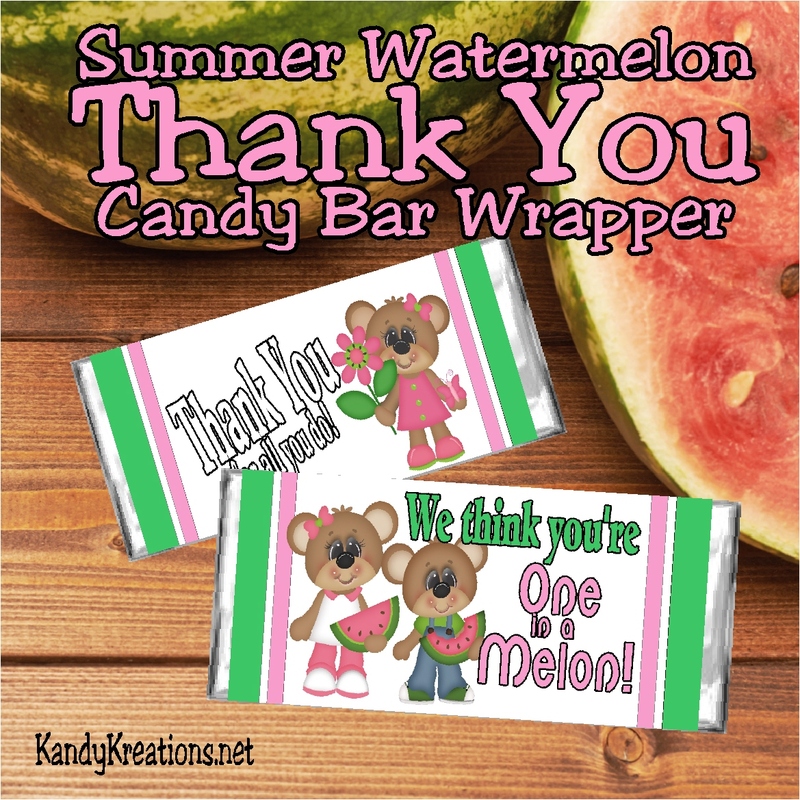 Since summer is in full swing here, I thought I would celebrate the combination of these two loves and create a cute summer watermelon candy bar wrapper that says thank you to anyone and everyone on your list. I don't think we say thank you enough to the people in our lives, so here's a fun way to do it that will win you cute and sweet points for the future. And you never know when you could use a couple extra Karma points in your pocket. Hope these wrappers help you say thank you to someone sweet on your list today. If you like these, be sure to check out the other free printables in our 30 days of summer series.